In our new series called Meet the Presenter-Tag, we will explore the world of circus arts programming with different presenters and programmers from around the world, delving in to the particulars of their region, and learning more about their specialty and the industry standards that they help to develop. At the end of each featured interview with the presenter, we will ask them to recommend the next presenter or programmer to be featured. Potluck Arts is a presenter in Northwest Arkansas in the United States, a location that at first glance wouldn’t seem likely to program lively contemporary arts, let alone circus and street art, but founder Jenni Taylor Swain has been making it her mission for over 25 years to bring communities in touch with the arts, and in 2016 Swain created Potluck Arts to continue that work, making Arkansas a destination state for contemporary circus in the USA. She travels the world in search of great art and programs it right in her home state. In 2016 and 2017, she founded and curated Circus Sites, partnering with her city in a pilot project designed to put forth contemporary circus as an art form that integrates audiences in the arts and reaches underserves communities. It brought renowned artist David Dmitri and internationally acclaimed Gravity and Other Myths to the region to partake in festivities. Swain also runs a successful consulting service for artists and organizations, offering arts management and program curation mentorship, and facilitating panels and round tables on arts industry specific topics. We checked in with Swain about what drives her to program circus and street arts and how she got her start. Kim Campbell: How long you have been presenting circus? Jenni Taylor Swain: Believe it or not, from the beginning of my arts presenting career, which was in 1991. I started working as the education director at new and under construction Walton Arts Center, a regional arts center in Northwest Arkansas. During our first season, we presented the Pickle Family Circus – so not only did we present contemporary circus – they were the first company to drill holes on this beautiful new stage! I like to think it set the tone for what was to come and gave the theater positive circus mojo. The Pickles were all new to me – and I loved everything about their show, their energy, their style – and mostly how they interacted with audiences and how audiences responded. And so began my observations of how contemporary circus really speaks to people. And I love it that it was the Pickles that started my love affair with circus. KC: Tell us a bit about your background in the arts that led you to circus. JTS: I grew up participating in theater and dance which provided a place for me to be me, built my confidence and fed my curiosity about life and the world. As an arts presenter for 26 years – I have had the responsibility to see and review a lot work. One of the closest international conferences for an American to attend is CINARS in Montréal. It was there, in the 90s, that I began to see a type of circus that really had a unique and distinctive style– it was circus, but it wasn’t – whatever it was, it offered something fresh and current and something that really connected with people, including me. And as a presenter, that’s what I’m all about, finding work that connects with people. I wanted that experience for our audiences in Arkansas. So, I began finding clever ways of bringing circus to our community. Clever, because up until then, most circus presenting consisted of a Chinese acrobat company – which is a really good start – but only a hint of what’s happening in the art form. My first really big show was Cirque Éloize’s Cirque Orchestra. We partnered with the local symphony – had to add steel to the building – and then let the company make the magic and there was no stopping me then. I put circus on our Broadway Season, found shows for student audiences – put it on dance series — just more and more – it was an avenue to contemporary work and audience development and international partnering. KC: Do you see a crossover in contemporary arts audiences and contemporary circus arts audiences? JTS: Yes – most definitely and it goes in both directions and many times they are the same. Contemporary circus arts can work as a gateway to many other types of contemporary arts –by making the contemporary more relevant to people. I also think that in the US we’re beginning to see more and more contemporary arts presenters look to circus arts as a framework to explore contemporary content. Contemporary circus provides so many interesting touch points to develop. The art form of circus has this infinite pallet for addressing the complexity of our word and inviting all to be a part of it. What saddens me is how quickly circus arts get boxed into a structure that is then dismissed by many people, including decision makers in the arts community. I think we should be presenting circus across the program spectrum. It gets separated out as a one-off or oddity when, in fact, it should be presented throughout a season on numerous platforms. 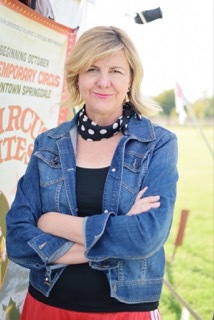 KC: How do you develop your audience for circus? JTS: For me it’s simple, present a lot of exceptional circus performances across the board and in every venue possible. Take it out of theone offspecial event list. Circus connects to all people –it’s an art form that tells stories, excites imagination, reflects dreams and challenges, and serves as a vehicle for both the personal and collective journeys of our times. As a presenter or a curator – you’re looking for great work and companies to support whatever project and artistic statement you’re working on – maybe you have family series or a world cultural series, or even a dance or theater series – perhaps you’re exploring themes like the environment, race or gender issues, or trying to reach out into new communities or taking performances out of the theater — make circus arts part of your artistic portfolio. 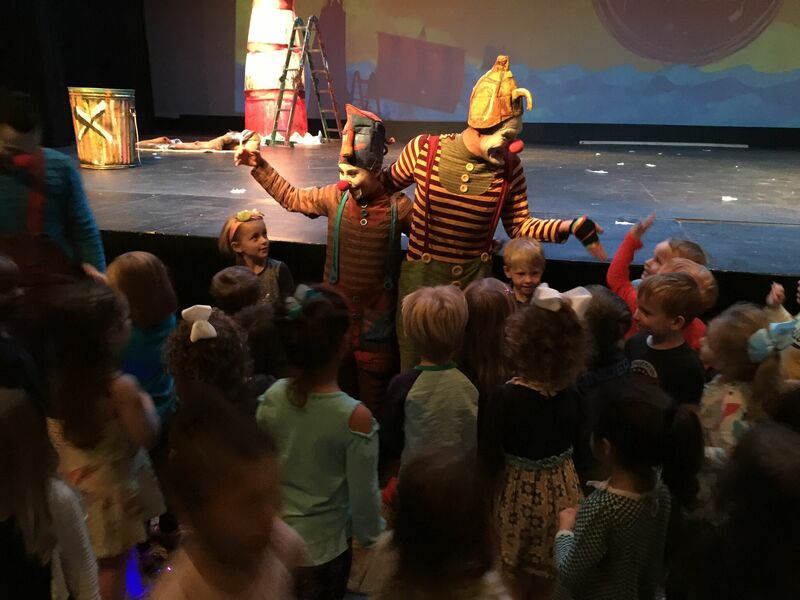 What makes circus so extraordinary is that is has this universal appeal and and audience understanding of the skill needed – so when it’s placed intentionally it has the ability to intuitively speak and connect to the audience– and then they want more.So how do you develop an audience? Foster and cultivate those that make program decisions around the world. You educate and train presenters, funders, and those who write about the arts. It’ s about making circus part of the artistic cannon. As a curator, I developed audiences through program-integration. I think we should be presenting circus across the program spectrum. It gets separated out as a one-off or oddity when, in fact, it should be presented throughout a season on numerous platforms – i.e. Broadway series, dance series, as a multi-discipline art form. Circus has a chameleon effect and it can adapt and meet a variety of programmatic goals. Franky, I’m surprised that more presenters haven’t figured this out. So, be clear on your artistic direction – what and why you are doing things and when you see exceptional work – you will know how to present it. For me, I’m trying to develop a more integrated community. At the core of my belief is a healthy community is an integrated community. Then you ask – what does that look like? It varies from community to community. Then you ask – how would this project/performance/artist/s help me do this? I think circus is uniquely positioned to lead the way – not only because of the end projects that circus provides, but because of the origin and very essence of it. That’s what makes circus so powerful and what I want to tap in to. KC: What is your source for shows? Is it markets, festivals, recommendations, artist submissions? JTS: Primarily, festivals, booking markets, recommendations, review of work and international exchange opportunities. It’s critical for me see the work to fully understand how to develop the project for the community where it’s going. As we are growing and supporting this art form, we must all invest in seeing work – from research, development, networking, creation process, to end – and a lot of it. I am thankful to a host of people (artists, programmers) and countries that understand the value of seeing work, networking and providing educational opportunities to learn from and who have invested in me to develop my knowledge of circus arts. For circus arts to grow in the US, not just in presenting, but also in artistic development, education, and recreation, we are going to have to invest in education and experience. For now, American presenters have had to look to our neighbors in Quebec/Canada, Europe and Australia to follow the trajectory of circus arts – and look to those communities that are doing extraordinary projects with circus arts. KC: What are the challenges of presenting circus? JTS: There are many – circus is viewed as more entertainment than art form, it’s marginalized, stereotyped and the word “circus” is constantly used in a pejorative way – which really pisses me off these days, especially because every circus artist I know respects the skill and safety required, and any successful show brings a level of strictness and organization that would make any politicians’ head spin. There are so many preconceived ideas of what circus is, and what one likes or even hates. Seeing contemporary circus is scarce and not ubiquitous at all in the United States (unless you count Las Vegas), so people don’t get to see a lot of it. In order for an art form to thrive, people need multiple opportunities to see it and the variety of it. The sheer size of the country makes it hard and expensive to tour. We have few recreational and professional opportunities to explore the art form. We have a very disconnected US circus sector – in fact, we hardly know each other. And there are technical limitations and challenges that have to be addressed and that scare a lot of presenters away. KC: Who is your consulting service designed to benefit? JTS: Potluck Arts was createdto advance contemporary art formslikecircus arts, visual theater and street arts and to serve as a consulting platform to support arts organizations and artists with the research, planning and development of programming along with executive management. My extensive program background along with my experience as an arts education specialist, project manager, producer and executive director, offers a range of services to help organizations achieve their cultural vision. Since I started Potluck two years ago, I’ve collaborated with city agencies trying to reach more of their communities, extended programming support during leadership transitions, researched and developed new initiatives for organizations wanting to expand, written grants exploring new funding options, negotiated and booked festival programming, presented seminars and workshops about circus arts and worked with technical teams to ensure that site-specific spectacles can be presented in a professional, successful and memorable way. 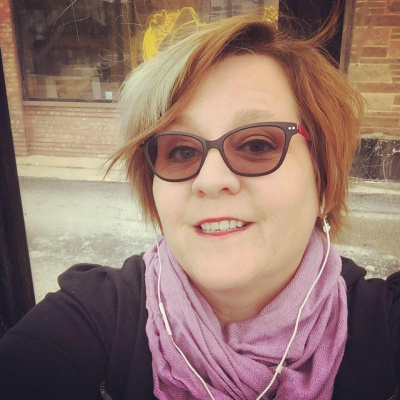 I can help organizations find new ways to navigate challenges and opportunities within your city, university, community non-profits and work with artists for successful results and to ensure audiences enjoy truly exceptional experiences. KC: How did you get the funding and support to organize Circus Sites and do you think this model of bringing contemporary circus to the people on several levels is the key to getting people interested in circus as an art form? JTS: I found funders in the community where I live who were interested in community development, reaching audiences that had limited or no access to great art experiences and who were interested in testing the premises that contemporary circus would create an integrated audience. I also found funders who were interested in supporting contemporary work – because they wanted to see contemporary work reflected in their community. Yes, I think Circus Sites is a model to get people interested in circus as an art form. It’s a model that is flexible and adaptable to different sizes and diversity of communities and for communities that have varying, limited or distinctive venues. It’s a model that echoes the historical context of circus yet activates something new, putting it in the contemporary milieu. However, one must be pragmatic– it’s a model that needs money and multiple years of investment. Bringing artistic work to rural areas and communities that are new to contemporary circus requires a commitment, investment and perseverance. It’s more than a one off – it requires multiple experiences and multiple voices. It’s for those who believe in integration and want that for their children and children’s children. Sadly, we live in a time when that is not the pervasive principle – so it’s about finding people who really and truly support the vision of an integrated community. Then, you have a model that will support community development and support the growth of circus arts in general. KC: Please describe the space, the specs, the rigging requirements and type of circus shows you are interested in programming. 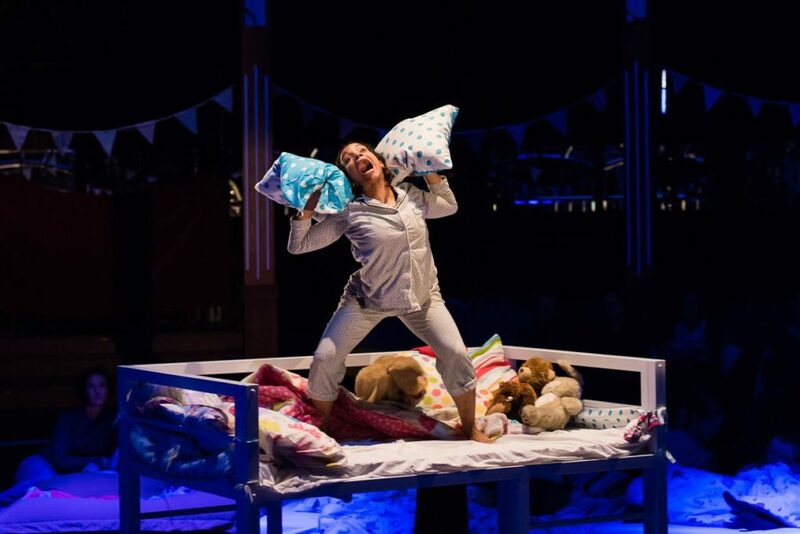 JTS: Because I’m trying to take circus out into communities and out of the traditional performance halls – I’m interested in performances that are adaptable, that can play in different spaces, outdoor-friendly, offer unique audience experiences, non-verbal, multi-ethnic and gender balanced performers. I’m interested in companies that have a range of work and experiences – and are open to adapting pieces to fit the space. I’m interested in pieces that will connect to the audiences, create a buzz and build curiosity about circus arts. I’m interested in working with companies that share my vision and want to work collaboratively in advancing the art form. KC: Are there any current projects you are excited to tell us about? JTS: Yes, I’m collaborating withUpswing, aLondon-based circus theatre company trying to develop their first US tour during the 2019/2020 season. It was founded in 2006 by Artistic Director Vicki Amedume. Upswing are at the forefront of contemporary circus with diverse new artists that reflect a dynamic, modern world. This company was selected for the Mid Atlantic Tours fund – the only circus company, that provides US presenters with tour subsidy. Big shout out to Mid Atlantic Arts Foundation for making a placeholder for circus arts! Also, Upswing was selected by IPAY Showcase(International Performing Arts for Youth) to promote their work during the conference in January. Lastly, I’m co-presenting a session during the annual Arts Presenter’s conference in New York– it’s called New Avenues for Community Engagement: Contemporary Circus & Outdoor Arts. So for those attending APAP – come join us! KC: Please name a presenter that you admire who works in circus so we can approach them to be our next Meet the Presenter subject. JTS: I recommend Ruth Wikler, founder and artistic director,Boom Arts(Portland, OR). She’s a past circus artist, and had her own circus (Boom Circus in NYC) – and founded Boom Arts in Portland, 5 years ago. Kim Campbell is the editor of CircusTalk News. She has written about circus for Spectacle magazine, Circus Now, Circus Promoters and was a resident for Circus Stories, Le Cirque Vu Par with En Piste in 2015 at the Montreal Completement Cirque Festival. She is the former editor of American Circus Educators magazine, as well as a staff writer for the web publication Third Coast Review, where she writes about circus, theatre, arts and culture.